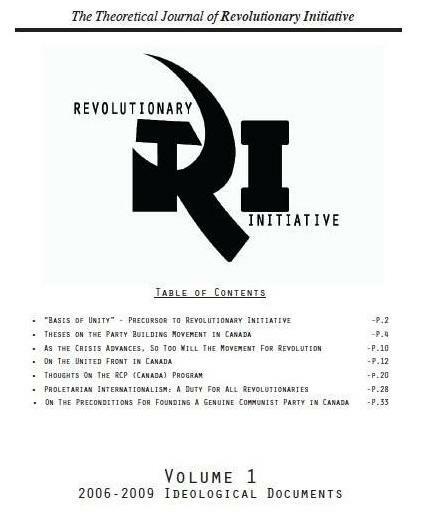 A French translation of this article can be found here, provided by Reconstruction Communiste Canada. 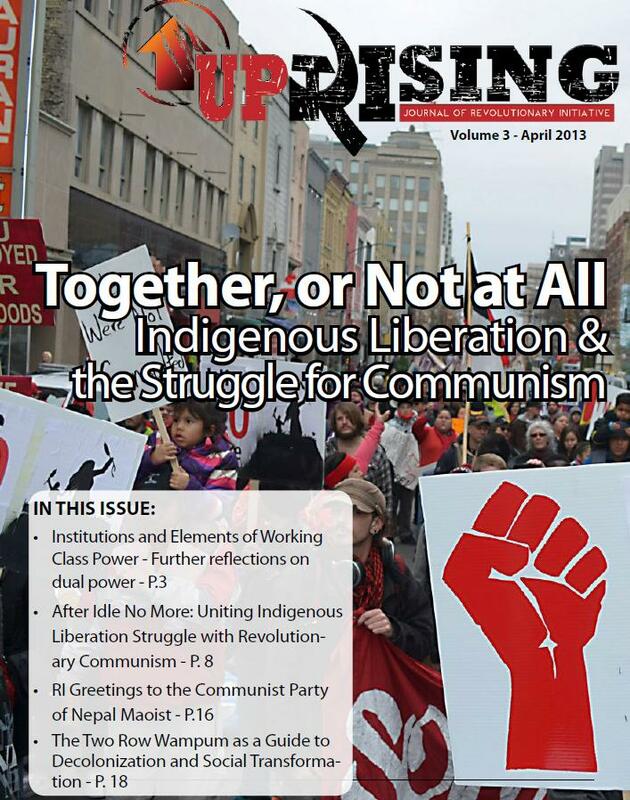 The following article was submitted to Uprising by a comrade out of the U.S., Kenny Lake, who here advances the discussion commenced by Comrade Amil in his pieces on Gramsci and Mao on questions of building popular hegemony and moving towards a situation of dual power. Kenny Lake’s contribution opens up entirely new realms in our ongoing debate by posing the question of the possibility or necessity of carving out ‘combat positions’ within the Ideological State Apparatuses (ISAs) of the bourgeois state apparatus as a necessary aspect of accumulating revolutionary forces. 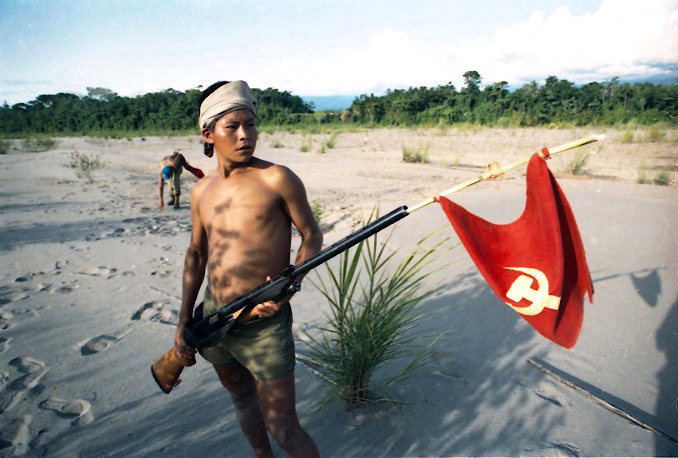 As Kenny Lake’s recounting of the origins of Sendero Luminoso (Communist Party of Peru-Shining Path) demonstrates, such ‘combat positions’ can be decisive even in the early accumulation of revolutionary forces. It should be noted that the pictures and captions accompanying this article and the captions are from R.I. The author has also requested that this article not be re-posted on the websites of other organizations, and while this is an exception for our content, we ask our visitors to respect this request. This, of course, does not negate hyperlinking and commenting on this piece, which we very much encourage and invite. 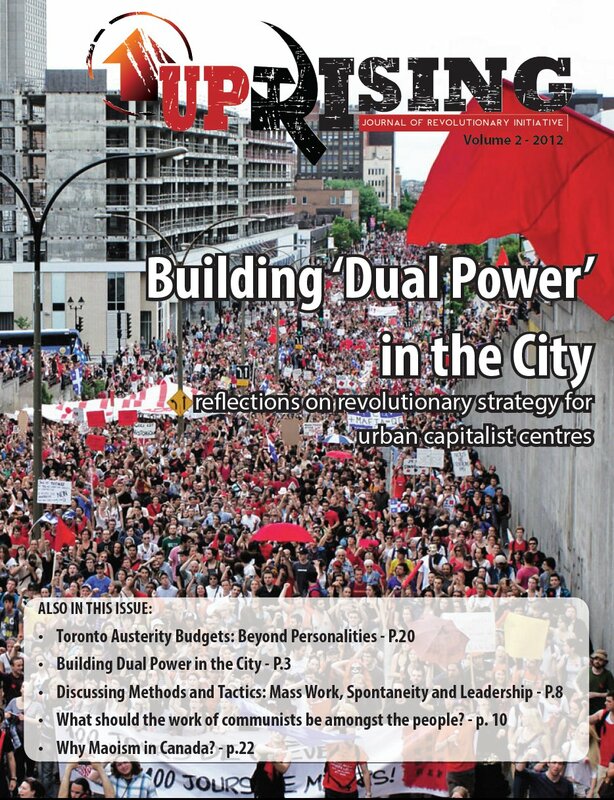 This piece will be published in June 2014 in Issue #5 of R.I.’s theoretical journal, Uprising. Apparently these guys had more in common than great hair and bad eye sight, dapper formal wear, and a good head of hair. They both led and built communist parties through dynamic periods of growth and upsurge, and as Kenny Lake argues, we find in each of them similar strategic conceptions. 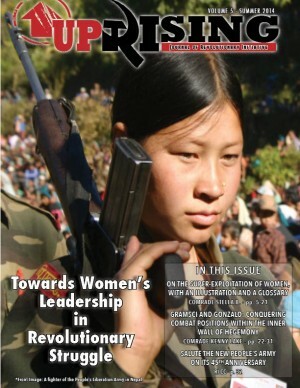 With his article “Towards the War of Position: Gramsci in Continuity and Rupture with Marxism-Leninism,” Amil has begun the process—long overdue in the international communist movement—of rescuing Gramsci from the stranglehold of liberal academia and putting his theoretical developments in service of strategizing for revolution. That it has taken so long for Gramsci to be considered in this light is testament to two problems. First is the truth of Gramsci’s theory of hegemony—in this case expressed in liberal academia’s seemingly endless ability to misinterpret and distort revolutionary ideas to fit its narrow visions and paltry reformism, aided here by Gramsci’s necessary self-censorship when writing from a prison cell. Second is the rather doctrinaire, closed intellectual circuit that has defined pretty much the whole international communist movement (ICM) for the last several decades. In the interest of addressing the second problem and positing strategic considerations for revolution, in this essay I will examine Gramsci’s notion of the war of position in light of recent experiences in launching people’s wars. While in the ICM there has been much energy and little intellect spent defending the necessity for and strategy of protracted people’s war, attempts at understanding how people’s wars of the last several decades came to be launched in the first place have been lacking. The result has been that those busy pontificating platitudes to people’s war have failed to launch any of their own. “Those busy pontificating platitudes to people’s war have failed to launch any of their own.” Recent years have seen an upsurge of this “pontificating” about people’s war by various groups, especially in the imperialist countries. 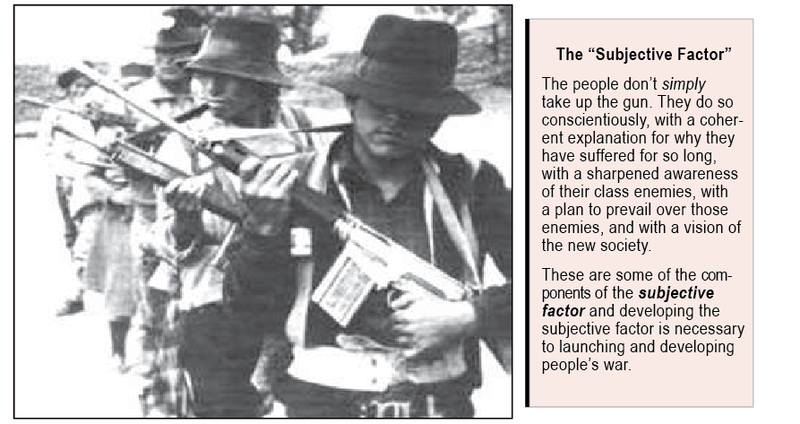 But what goes into developing the “subjective factor” to actually launch a people’s war? Where is the theory for an accumulation of revolutionary forces? The experience of Sendero Luminoso offers important insights, Kenny Lake argues. Much ignored in the ICM is Professor Abimael Gúzman’s method of accumulating and organizing revolutionary forces prior to the 1980 launching of people’s war in Peru. Gúzman (known to most of us as Chairman Gonzalo) was appointed professor of philosophy at the National University of San Cristóbol de Huamanga in Ayacucho in 1962. The newly established university was part of the Peruvian government’s nationalist modernization program, which attached crucial importance to education. Both leftist electoral parties and the military dictatorships of 1968–80 viewed the creation of universities and education more generally as a way to deal with the instability and impoverishment of the periphery. 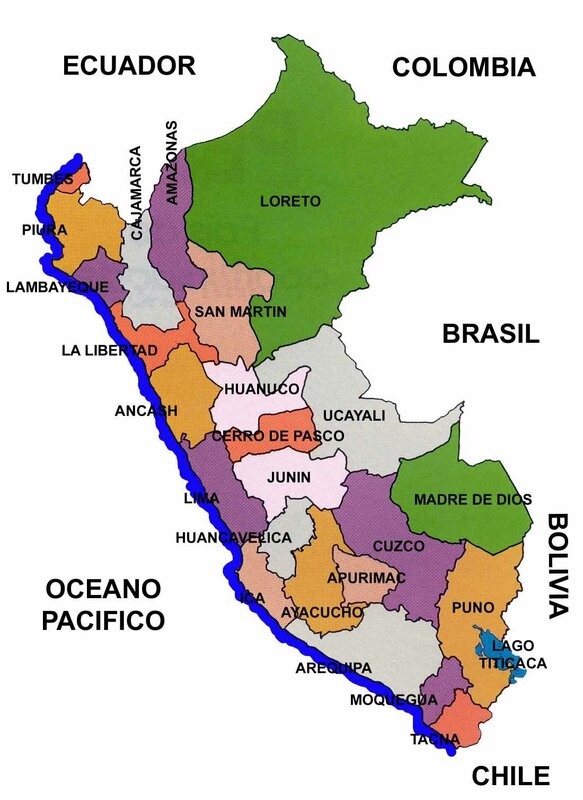 In Peru, state power and economic development were concentrated in a few cities, especially Lima. The Ayacucho region was the epitome of government neglect, and its Quechua-speaking Indian population could not be so easily integrated into the hegemonic structures of Peruvian society. For those at the center of power, the expansion of education in the periphery was a way of incorporating this population under bourgeois ideological hegemony. In this there was an element of the white and mestizo ruling class continuing where the Spanish conquistadores left off in their mission to “civilize” the Indians. The newly created university offered Gúzman and his comrades the chance to increasingly set the terms and use the university as a recruitment center for Sendero Luminoso. The promise of education was to offer an opportunity for young peasants to raise themselves and their communities up, but upon graduation the vast majority found themselves in the same poverty with no means of improving the conditions of their communities. This inherent structural contradiction—what Gramsci would call organic rather than conjunctural—provided ample ground from which Sendero Luminoso could attract recruits whose hopes in the system had been dashed by the false promises of education. Gúzman’s rousing philosophy lectures, which offered a historical materialist explanation of the contradictions the peasant students were confronting and fit these contradictions within the larger antagonisms of capitalism on a world scale, attracted the initial recruits who would carry out the ground work for the initiation of people’s war. His objective was clear: to use the university to recruit, educate, organize, and subsidize the growth of Communist cadres. Guzmán had the university create a teacher training school that was staffed mostly by Communist Party members or sympathizers. Those students who became early recruits provided an ideal way to forge a relationship with their towns and communities. Many would return home to lay the groundwork for revolutionary work. Furthermore, Gúzman recognized the way in which the Peruvian bourgeois state’s ambition to send increasing numbers of teachers to the periphery could be used against it. Those trained by Sendero at the University of Huamanga’s teacher training school were sent into teaching positions in towns and villages throughout the countryside, providing Sendero with a crucial means of organizing peasants all around Ayacucho. Sendero recognized the importance of positions of authority in influencing and winning over people to its side, and thus took advantage of the respect that Ayacucho peasants had for the teachers coming to their communities. In addition, university students did the groundwork of social investigation and establishing ties with the masses. All this enabled Sendero to launch a people’s war with trained cadres, a solid mass base, and underground organization. Sendero’s control of the University of Huamanga was, of course, tenuous, and came to an end in the mid-1970s in large part due to rival leftist organizations gaining the upper hand. The aim of communists, however, is not to hold on to a few positions within the bourgeois ideological state apparatuses, but rather to use instances where these positions can be temporarily attained to accumulate forces for revolution. Doing the latter will, sooner or later, result in losing these positions but gaining in revolutionary organization, while doing the former will result in becoming a left appendage to bourgeois hegemony, of which there is an ample amount these days. Sendero’s experience in the build-up prior to its initiation of people’s war indicates the way in which proper infiltration and use of the bourgeoisie’s ISAs is one crucial method through which to accumulate revolutionary forces. Furthermore, three of the four people’s wars that garnered a substantial mass following and became a significant threat to bourgeois state power in recent decades built at least some of their initial forces through positions in bourgeois educational institutions. Besides the Sendero example, Jose Maria Sison taught at the University of the Philippines in the 1960s and recruited much of the CPP’s initial leadership core from among his students, and Prachanda and other leading members of the CPN(Maoist) were teachers in districts from which people’s war in Nepal was initiated. The situation at the University of Huamanga in the 1960s was perhaps a uniquely favorable one and cannot be duplicated, but it does provide us with several salient lessons. First, Althusser was entirely right to point out the more contradictory nature of the ISAs. One way in which this contradictory nature is expressed is when the ruling classes seek to create new institutions and have not yet firmly established how those new institutions will be operated or trained the personnel to do so. The University of Huamanga in the 1960s was exactly such an institution, and thus Sendero could infiltrate and even control it for a time. Its distance from the power centers of Peru meant that the state as well as other leftist organizations, who tended to concentrate their efforts in Lima, were somewhat oblivious to and powerless in the face of Sendero’s takeover of the University of Huamanga. 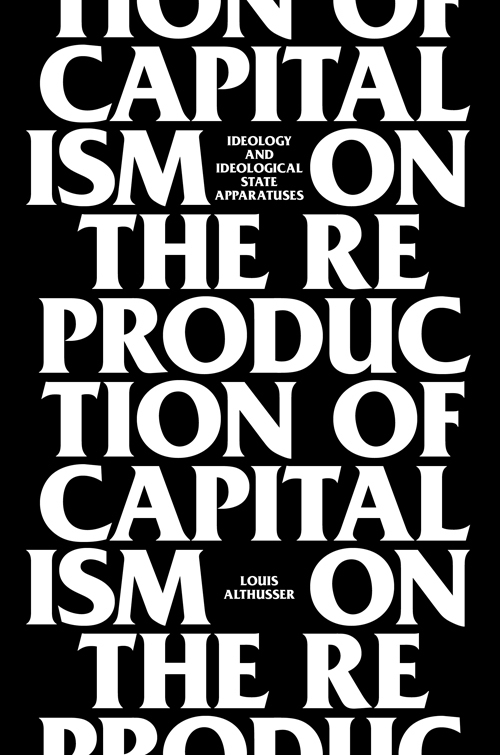 On the Reproduction of Capitalism, the 1968 book from which Althusser’s influential piece ‘Ideology and Ideological State Apparatuses’ originates, has only recently been translated and published in English. Althusser’s description of the contradictory nature of the ISAs points to the fact that hegemony must be continually reshaped and re-established in the midst of capitalism’s constant motion and development. While we can identify central tenets of bourgeois philosophy that have persisted over time, there is no unchanging ruling ideology that is frozen and dispensed to the masses through the ISAs, but rather constantly changing discourses that are forged and re-forged in relation to the necessities faced by the ruling class. This has increasingly included the ability to incorporate challenges to bourgeois rule into the very exercise of hegemony. For example, the 1960s cultural revolt in the US has largely been co-opted by and incorporated into capitalist culture. Moreover, in their impressive history of the Black Panther Party, Joshua Bloom and Waldo Martin argue that concessions from the ruling class were in fact far more to blame for the Panthers’ demise than repression. As Black Studies departments were created at universities across the US and affirmative action, government hiring, and the increase in Black elected officials gave the Black middle class greater access to positions of power in the early 1970s (under the Nixon administration, no less), the Panthers increasingly lost middle-class allies and broad support. Where repression had failed to destroy the Panthers and in fact increased their stature and level of broad support, concessions and co-optation worked. Many have thus looked at capitalism’s increasing ability to incorporate challenges to its rule into its hegemony as rendering opposition powerless. This one-sided view, generally focused exclusively on the middle classes, who are far more susceptible to concessions and co-optation, fails to recognize the other side of the contradiction. It is precisely because hegemony must be continually reshaped that openings exist for communists to conquer combat positions within the ISAs. Indeed, it is at those junctures in which the content and forms of hegemony are being re-established that the inner wall of hegemony is at its most penetrable. Here it is worth noting that Sendero Luminoso’s period of preparation for, initiation, and expansion of people’s war in the 1970s and early 1980s coincided with leftist governments in power enacting social refoms. Stereotypical Shining Path militants are the sons or daughters of highland-born peasants, one of the first members of their family to finish secondary school and perhaps even attend a university; subsequently, their expectations are blocked and they feel frustrated by the inequalities in Peruvian society and uncomfortable both in their parents’ traditional Andean world and in the urban Western world. At times these two factors combine together, as was the case in Peru, to create an all the more volatile mix that the ruling classes do not have an easy time exercising control over. These are the kinds of situations communists should be actively looking for and seeking to do the long-term work to take advantage of. In the present-day US, a comprehensive immigration reform would likely involve a requirement that illegal immigrants take classes in English and citizenship (i.e., Americanization) to legalize their immigration status. Charter schools have taken off in oppressed neighborhoods, and though they have everything to do with privatizing education and leaving large sections of masses in the urban ghettos to attend worsening, decrepit public schools, they could potentially be used with finesse to finagle greater independence and funding from the state. Education programs inside prisons as well as job training and education programs for former prisoners are instances in which basic masses have a limited chance at institutionalized intellectual and educational activity. These are just examples of possibilities in which communists could infiltrate bourgeois educational institutions and use them to train and recruit basic masses. Third, attempts to make use of bourgeois ideological state apparatuses to accumulate revolutionary forces cannot be successfully carried out by disparate individuals but need to be part of an overall strategy under communist leadership that is strategically and tactically connected to the build-up of the subjective factor in order to seize state power. There have been a number of failed attempts by radical-minded intellectuals to use institutional positions at universities to create their conception of organic intellectuals out of working-class students. The Birmingham Center for Cultural Studies was one such example, and while the scholarship and analysis it produced is of a high quality and it likely had some positive impact on university students, its disconnect from any revolutionary strategy or organization made its challenge to capitalist rule negligible. Furthermore, numerous radicals and revolutionary-minded activists in the US have turned, in recent decades, toward cultural and educational activity in oppressed communities. Were these treated as serving the build-up of revolutionary organization instead of as things-in-themselves and set in contention with the bourgeois state they could be qualitatively different endeavors, but as they stand at present they are a retreat into reformism. Indeed, without being part of an overall revolutionary strategy and without those involved being connected to vanguard communist leadership and the basic masses that form the backbone of revolution, any attempt to penetrate the inner walls of hegemony is doomed to fail. 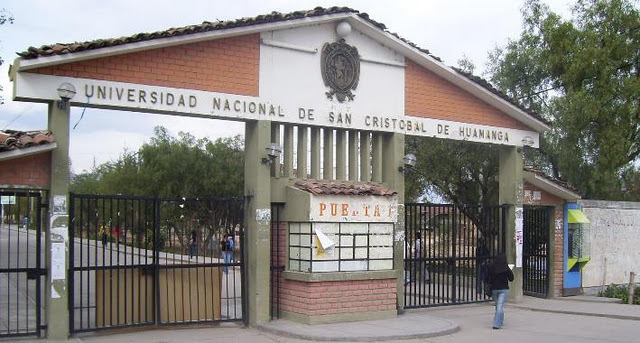 Sendero’s efforts at the University of Huamanga were always treated as a means to an end. The goal was never to hold on to teaching or administrative positions or uplift the oppressed within the confines of the present, but rather to use these positions to recruit the cadres and through them organize the mass base that would be necessary to launch people’s war. Infiltrating the bourgeoisie’s ISAs will take a protracted approach and the adequate devotion of personnel that focuses on organic (structural) contradictions rather than only movement-building around, agitation and propaganda in relation to, or shifting limited forces from one conjunctural situation to the next. This would involve a reconfiguration in the strategy, tactics, and deployment of communists that is a substantial departure from the ICM’s activities post-socialist China. Sendero’s use of its temporary footholds in bourgeois institutions was far more pragmatic in nature, as grounds for recruitment and organizing efforts for the future initiation of people’s war. This in itself was by no means incorrect, and in fact was quite ingenious, but perhaps there is a need to go further than this more pragmatic use. Lenin’s insistence in What Is To Be Done? on the need for class-consciousness to come from “without”—i.e., that it would not spontaneously develop from within the day-to-day struggles—has too often been narrowly, literally, and idiotically interpreted to mean that communists should stay outside of positions inside workplaces, universities, etc. This has gone hand in hand with attempts to maintain some sort of revolutionary purity by avoiding the dangers of entering into bourgeois institutions. To be sure, many a revolutionary with the best of intentions has sold out by becoming a college professor. But if we are to become a serious contender for power, we had better be ready to deal with all these dangers and cast off clinging to some pitiful sense of purity. Communists will be much more able to contend against bourgeois ideological hegemony if they deploy some forces to conquer combat positions within the ruling class’s ISAs. Such positions offer much wider audiences to speak to, greater proximity to the debates and contradictions within the ideological state apparatuses, opportune circumstances within which to organize masses from a position of authority, and some limited legitimacy for their ideas and protection of their positions. This last advantage would come quickly under attack were those communists to make the most of their positions (which is exactly what they should do—otherwise they will become left appendages to the institutions of bourgeois ideological hegemony). We should, of course, welcome a situation in which the bourgeoisie has to resort to censoring and firing communists from institutional positions, as this could potentially be skillfully exploited to advance the revolution / counter-revolution / more revolution dialectic. In addition, attaining positions within the ISAs would offer much more favorable ground to wage struggle in the realm of ideas. For example, recent academic publications debunking the plethora of misinformation about the Chinese Revolution, such as Was Mao Really a Monster? The Academic Response to Chang and Halliday’s “Mao: The Unknown Story”, Mobo Gao’s The Battle for China’s Past, or Dongping Han’s The Unknown Cultural Revolution: Life and Change in a Chinese Village have done more to refute the anti-communist propaganda campaign in the public arena than any of the efforts by communist organizations in recent decades. Moreover, such attempts to bring class-consciousness from “within” (oh the heresy) the ISAs would put the proletariat in a much better position to run society after the revolution. Given that prior proletarian dictatorships have not done so well at living with and transforming the petit-bourgeoisie (to understate the matter), experience in close quarters with intellectuals, within their institutions, and gaining their respect would be crucial to not repeating the mistakes of the past. In this regard, abstract questions of “political line” can sometimes be less important than concrete experience. While Lenin had substantial political differences with Lunacharsky over the years, he nevertheless appointed Lunacharsky as Commissar of Enlightenment—significant given the importance Lenin attached to education. Lunacharsky proved exceptionally adept at working with intellectuals and artists during the 1920s based on his strong working relations inside and knowledge of the cultural arena prior to the revolution. He convinced and created the conditions for some of the most brilliant avant-garde artists of the time to work with the Soviet state in its early years. The relative success in the 1920s of bringing numerous artists and intellectuals into the fold of the proletarian dictatorship is in stark contrast to later decades. For example, Zhdanov’s leadership of Soviet cultural policy after WWII was based on little knowledge of the cultural arena or working relations with artists, and resulted in substantial repression of artists, a stifling atmosphere in the cultural arena, and increasing alienation of artists from the Soviet state. The point here is that done correctly, waging ideological battle from within the bourgeoisie’s ISAs would put communists in a much stronger position to create fissures with the walls of bourgeois ideological hegemony. This should by no means be taken to imply that this ought to be the main work of communists in building the subjective factor for the seizure of power. 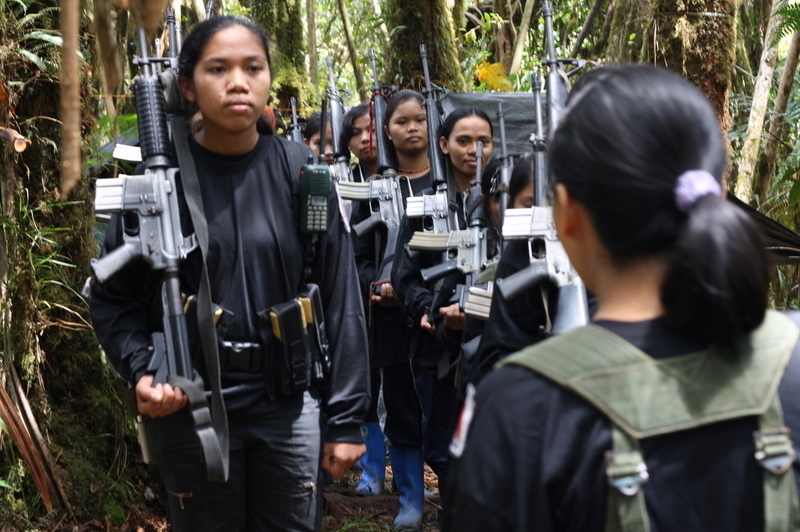 The center of gravity of communist work prior to revolution should always be bringing forward sections of the basic masses as a revolutionary people organized under communist leadership. Nor should there be any confusion about the fact that, as the RIM Declaration made eloquently clear, the backbone of communist organization should always be outside the eyes, ears, and legal structures of the bourgeoisie, i.e., independent from whatever temporary positions communists are able to attain within the ISAs. However, we should recognize where combat positions within the ISAs can help in accumulating revolutionary forces, and likewise recognize how these positions are crucial for winning over allies within the middle strata. With respect to winning allies in the middle strata, it is worth noting the importance Gramsci attached to the shifting balance of forces and in particular the role of the subaltern classes. There has been much confusion about what Gramsci meant by the term subaltern, in part created by liberal academia’s own appropriation of the term. Amil echoes some of this confusion in his essay. Gramsci uses the term subaltern as an analogy to its dictionary definition: British junior military officers. This points to a more nuanced understanding of class dictatorship, in which the bourgeoisie forges an alliance with other classes to exercise its rule. Gramsci was referring to the vestiges of the feudal ruling classes, the emergence of the labor aristocracy and bourgeoisified workers in the imperialist nations, and the role of professional intellectuals and petit-bourgeois functionaries more generally as examples of these subaltern junior partners in the exercise of capitalist rule. Mao’s nuanced analysis of classes in China comprehended the particular alliance of classes that ruled semi-feudal nations oppressed by imperialism and broke with doctrinaire views that held back communist revolutionaries in such countries. Taking Lenin’s theory of imperialism and the split in the working class as his point of departure, Zak Cope has recently elucidated the ways in which the so-called working class in imperialist countries has held a material stake in capitalism-imperialism and been active and enthusiastic junior partners of the monopoly capitalist class, including by its support for imperialist wars of aggression. Through the ISAs, petit-bourgeois (professional) intellectuals are brought into the exercise of capitalist rule via their role in the construction of hegemony, including by institutionalizing their opposition to some of the outrages of capitalism and thus rendering it ineffectual and even helpful in maintaining bourgeois dictatorship. This makes it all the more important for communist revolutionaries to shift the balance of forces by subverting the ISAs to the degree possible and thereby challenge the allegiance of petit-bourgeois intellectuals. The more the latter are forced to make a conscious decision whether to be a junior partner of the bourgeoisie or not, the better. The approach outlined above offers a different dimension to revolutionary strategy that, while not in opposition to Revolutionary Initiative’s discussion of dual power, does point to potential problems in any unitary focus on building proletarian counter-institutions. In particular, there has been a strong tendency among radicals and revolutionaries lately to view distance from the state as proof of revolutionary position. David Harvey critiques this tendency as the “termite theory of revolution,” in which the ruling class is supposedly gradually overwhelmed by various autonomous groups such that the bourgeois state crumbles in on itself. To be sure, mass organizations, political base areas, and Revolutionary Initiative’s discussion of dual power are all crucial components of revolutionary strategy, and are not the same as the termite theory of revolution or the anarchist conception of autonomy. But while the backbone of communist organization needs to be fundamentally independent from bourgeois structures and politics, distance from the state is not the main measure of revolutionary content. Rather, thoroughgoing opposition to a society predicated on commodity production and a strategy to rid the world of commodity production and all that it entails is. Thus, to the extent and in the instances where communists can make use of working within the bourgeoisie’s ISAs to create a communist pole, a revolutionary people, and forms of organization that can build towards the seizure of power and the exercise of proletarian dictatorship thereafter, they should do so even though it will put them in greater proximity to the bourgeois state. In this regard, it is worth considering what the equivalent of Mao’s statement that Chiang Kai-Shek was the quartermaster of the PLA would be in the realm of hegemony. Considering how ideologically outgunned we communists are today, it seems appropriate and indeed necessary to make use of the bourgeoisie’s weapons of hegemony against it wherever it is possible to do so. 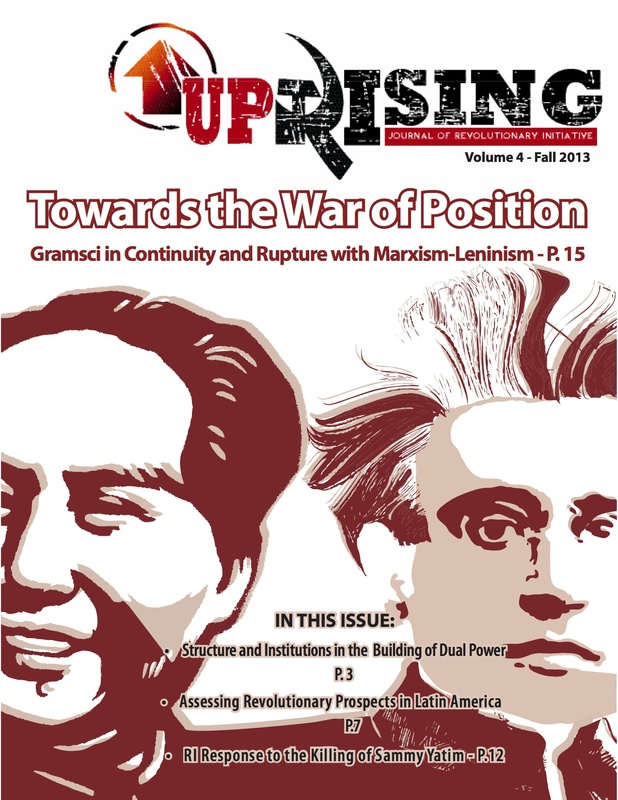 Amil, “Towards the War of Position: Gramsci in Continuity and Rupture with Marxism-Leninism,” Uprising: Journal of Revolutionary Initiative 4 (September 2013): 19–31. This intellectual dearth is a worthy topic in its own right, but, for purposes of this essay, it is useful to consider Althusser’s observation that “every descriptive theory runs the risk of ‘blocking’ the development of the theory” in Louis Althusser, “Ideology and Ideological State Apparatuses,” in Lenin and Philosophy, and Other Essays (New York: Monthly Review Press, 2001), 94. To this we can add that given the massive urbanization that has taken place in the oppressed nations since the Chinese Revolution as well as transformations in the class configurations of these societies, substantial changes in revolutionary strategy are necessary. Such changes would involve a lot more attention to the urban sphere, especially the shantytowns, and the newly proletarianized and urbanized sections of masses, as well as strategic and tactical considerations to deal with the decreased isolation of much of the countryside and greater technical, military, and hegemonic capabilities of the state. For accounts of the recent wave of urbanization and changes in class configuration, see, for example, Mike Davis, Planet of Slums (New York: Verso, 2006); and Saskia Sassen, Globalization and its Discontents (New York: New Press, 1998). Antonio Gramsci, Selections from the Prison Notebooks (New York: International Publishers Co. Inc., 1971), 185. There are larger epistemological questions inherent in this question of objective situation and subjective factor that are beyond the scope of this paper. Althusser, 99. While Althusser was absolutely correct in his characterization of the repressive state apparatuses, it is worth noting that Sendero Luminoso kept sympathizers who were more useful in their positions of employment in those jobs rather than having them directly join its armed activities. According to Gabriela Tarazona-Sevillano, who was a prosecutor in Peru from 1984 to 1986, this included “court-system personnel” who could aid the people’s war by “furnishing confidential information about prosecution plans in progress, by causing delays within prosecution proceedings, or by misplacing important files.” “Electrical engineers who supply information about key sections of a region’s electrical grid” and “security officials who allow militants admittance to sensitive areas” would have been crucial to the people’s war overall and to the numerous shut-downs of Lima that involved cutting off electricity. Perhaps most damaging to the Peruvian state repressive apparatus among Sendero’s infiltrators was “Eva Gómez, a National Police Psychologist” who “worked in psychological evaluation of police officers who were to serve in emergency zones. In this post, she had access to extensive confidential records, including the backgrounds of police officers and their families, which she presumably passed on to key Sendero commanders.” Quotes from Gabriela Tarazona-Sevillano, “The Organization of Shining Path,” in The Shining Path of Peru, ed. David Scott Palmer (New York: St. Martin’s Press, 1992), 178. Ton de Wit and Vera Gianotten, “The Center’s Multiple Failures,” in The Shining Path of Peru, ed. David Scott Palmer (New York: St. Martin’s Press, 1992), 45–57; Carlos Iván Degregori, El Surgimiento de Sendero Luminoso: Ayacucho, 1969–1979 (Lima: Instituto de Estudios Peruanos, 1990), 37–47; Gustavo Gorriti, “Shining Path’s Stalin and Trotsky,” in The Shining Path of Peru, ed. David Scott Palmer (New York: St. Martin’s Press, 1992), 152–55. De Wit and Gianotten, 45–57; Gorriti, 161–63. Michael L. Smith, “Shining Path’s Urban Strategy: Arte Vitarte,” in The Shining Path of Peru, ed. David Scott Palmer (New York: St. Martin’s Press, 1992), 141; Tarazona-Sevillano, 184. Joshua Bloom and Waldo Martin, Black Against Empire: The History and Politics of the Black Panther Party (Berkeley: University of California Press, 2013), 346–352. Cynthia McClintoch, “Theories of Revolution and the Case of Peru,” in The Shining Path of Peru, ed. David Scott Palmer (New York: St. Martin’s Press, 1992), 234. By organic intellectuals, Gramsci was clearly referring to basic masses trained and organized by the communist vanguard in Marxism, rather than some petit-bourgeois fantasy of oppressed people without leadership or independent organization being incorporated as oppositional elements within bourgeois institutions. 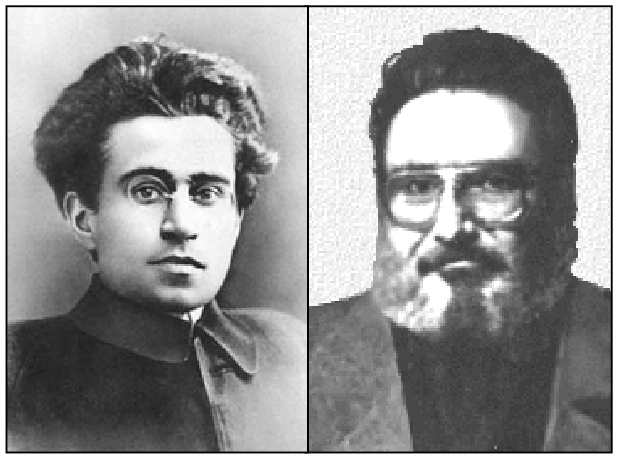 Gramsci also advocated a more thorough intellectual training of communists, including those from the basic masses, in order to be able to navigate the process of making revolution and transforming society in its wake. See, for example, Sheila Fitzpatrick, The Commisariat of Enlightenment: Soviet Organization of Education and the Arts under Lunacharsky (Cambridge: Cambridge University Press, 1970). Declaration of the Revolutionary Internationalist Movement (Keralam: Chithira Publishers, 1998), 32–33. This is partially due to the popularity within liberal academia of the Foucaultian view of power as flowing through everything and everybody rather than being exercised by particular classes through particular class relations. Interpreted this way, hegemony becomes something every class buys into rather than a complex mechanism that is nevertheless exercised by a particular class alliance over the basic masses, who rarely if ever take part in determining what ideology they are indoctrinated with. (This is not to entirely write off Foucault, whose theorization of discourse and expertise as mechanisms of power holds tremendous import for the discussion in this essay.) In addition, the term subaltern has come to be used by many liberal academics, most notably the Subaltern Studies Collective, to refer to oppressed people generally. Zak Cope, Divided World Divided Class: Global Political Economy and the Stratification of Labour Under Capitalism (Montreal: Kersplebedeb, 2012). David Harvey, Rebel Cities (New York: Verso, 2013), 124–25. Thank you for your reply and for sharing your the analysis of comrades in Italy regarding the parallel or converging analyses that your organization has developed in relation to ours. It’s quite remarkable but not at all surprising that revolutionary communists in the imperialist countries are reclaiming Gramsci in very similar ways. Please allow us some time to make a proper response to the nPCI’s documents on Gramsci and Mao. Dear comrades, we thank you very much, we shall pay attention to this document, and we’ll send you our evaluation as soon as possible. As regards the evaluation we sent on the articles you wrote on Gramsci we have had no news from you. We wonder why, as they were really close to the issues Amil dealt with. The contribution by the new communist movement in Italy to free Gramsci from revisionist chains is important, as Italy is an imperialist country, as Gramsci, according to us, gave the best contribution about how to make the revolution in an imperialist country, and as he was Italian, so we have better opportunities to deal with him. We inform you that we shall hold five seminars on Gramsci’s teachings in Naples, in the second half of July, in the context of the National Feast of People’s Liberation, that the CARC Party helds every year . The issues shall be the communist conception of the world, the intellectual and moral reform, the Protracted Revolutionary People’s War, the Vatican, the problem of Southern Italy. This could be an opportunity to carry out the debate about Gramsci and about the revolution in imperialist countries.